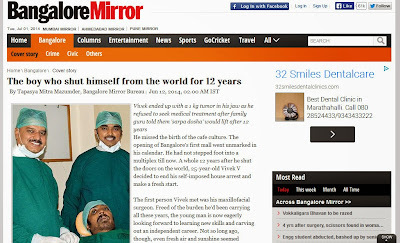 THE READING ROOM: "ONE YEAR ON, THE MANY LESSONS I HAVE LEARNT AS A REPORTER"
"ONE YEAR ON, THE MANY LESSONS I HAVE LEARNT AS A REPORTER"
Instead, I am going to highlight the many lessons I learnt in the course of my journey and the mistakes I made, from which I hope you will be able to learn. 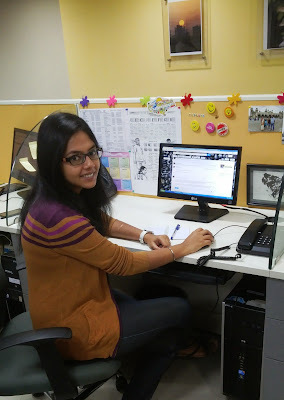 TAPASYA AT HER DESK AT BANGALORE MIRROR. My chemistry teacher in school had once told us that fools learn from their own mistakes while the wise ones learn from other people’s mistakes. Well, I have been both foolish and wise in the past one year. In the course of gathering more than 250 bylines (including more than 30 Page 1 stories), I have learnt that they do not define my success. I consider myself successful because I have evolved for the better since I graduated from Commits and completed one whole year in my profession. Remember one very important thing: You have to figure out how you are going to survive in this profession. It will take no time for the management to chuck you out if you are an underperformer. People have bad days at work. I have had bad weeks, and sometimes bad months. For me, it was a challenge to go about doing city-based stories without knowing the local language. On top of that, I do not have a beat, a specific area or subject to cover. But I turned that around to do stories from every beat, and so far I have written on education, science, technology, health, crime, and youth issues. I have also highlighted some very important issues that have gone on to become national stories. Stories can jump at you from anywhere, so always be on the lookout. 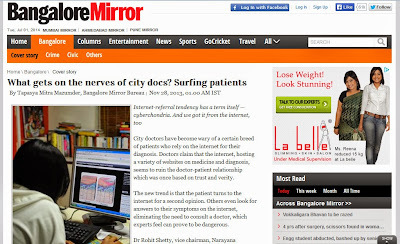 My first cover story with Bangalore Mirror was published four days after I joined and I got it from Facebook. As RP Sir has always stressed, social media networks are often a good news source and I have produced stories based on what I read on Facebook, web feeds, WhatsApp messages, adverts on the back of autorickshaws, circulars posted on national websites, and even from comments on the micro-sites of some educational institutions. THIS STORY BY TAPASYA, WHICH WAS PUBLISHED ON PAGE 1, WAS RECEIVED WARMLY. But at this point I should warn you that it is not a good idea to warm the seat of your chair by “Facebooking” all day; go out in the field instead. Which brings me to my next point: networking. I get a kick from going out in the field and meeting people. It is the best part about my job, but I make sure they remember me too once the event we are attending is over. So I give everyone my card when I am attending, say, industrial conferences. One day I got a call from a person I had met at one such conference. He had called to tell me about a story and the next day the paper carried my article on Page 1. But you have to be able to sift the grain from the chaff to know which items can be developed into newspaper articles and which ones are simply not worth pursuing. Initially, I would run to my boss for every small story I could grab but my effort would often get spiked. Over time, though, I learnt to distinguish between what readers would find interesting and relevant and useful and what they would ignore. It is also very important to mention here that you need to know how to pitch a story to your boss. I have learnt now to highlight only what’s necessary and also point out sometimes what section of the paper it would be suitable for. Now that you have pitched your story, learn to defend it. If you think it is a good one, make all-out efforts to persuade your bosses to see what you see in it. Don’t be disheartened if your idea is rejected; sooner or later you will learn why it wouldn’t have worked. I have sometimes fought heated and emotional battles with my boss over my story idea, but most times wit and tact will do. 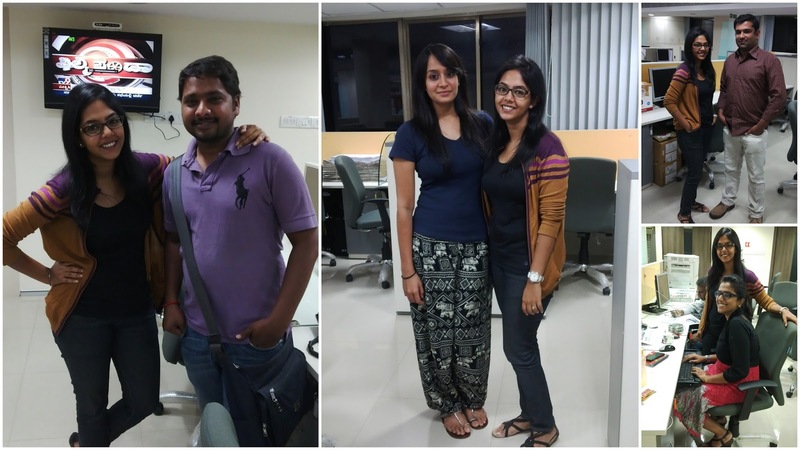 TAPASYA WITH HER BANGALORE MIRROR COLLEAGUES (FROM LEFT) HM CHAITANYA SWAMY, PRAKRUTI PK, SRIDHAR VIVAN, AND SHAMAYITA CHAKROBORTY. I have a habit of writing lengthy pieces (as RP Sir will confirm) but the news desk staff, who edit my stories, have not complained. Their reasoning is that it is better to trim a long piece than try to chase the reporter for more information. I try to give them comprehensive stories that need to be adjusted for length. I also never take the subs for granted by giving them shoddy copy which they will have to spend hours editing. Their job is to check the facts, not straighten out your poor grammar all the time. Have respect for what they do. I want to add here that no journalism school, however high its standards, can replicate a newsroom nor can it provide the experience you need to survive in a profession that requires interacting every day with people, both colleagues and outsiders, so here I would like to roll out a few points. Working in an office with almost 50 people and being the junior-most staff member, as I am, it is impossible to avoid getting involved in office politics or in so-called healthy banter. But know your limits and, without seeming too aloof, keep a safe distance from controversy. For example, if two senior colleagues are pulling each other’s legs in a sarcastic manner, it would be a good idea to quietly disappear from the scene. Don’t ever involve colleagues in your personal life unless you trust them absolutely. The consequences of that can be dangerous. At all times, watch your back because if you don’t, there will be no one to catch you when you fall. P.S. Before I started writing this piece, I put together some points on a sticky note. That is a good practice to institute. Try it out yourself. 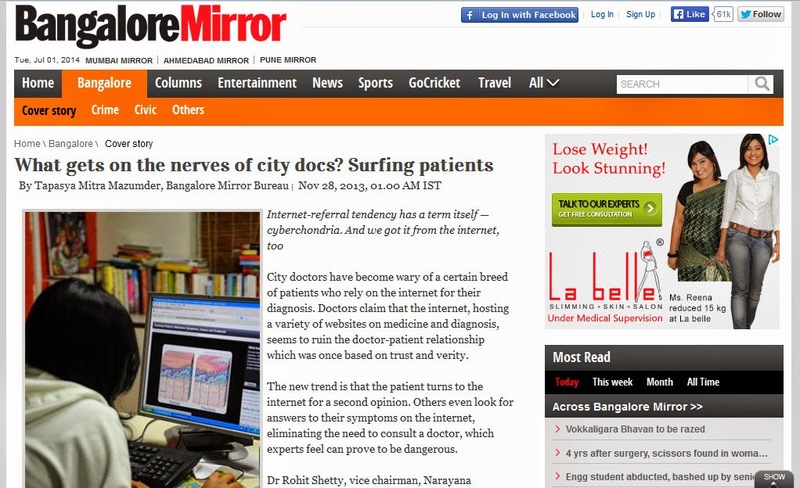 TAPASYA SAYS SOMEBODY ADDED THIS ARTICLE TO A WIKIPEDIA ENTRY ON CYBERCHONDRIA SO NOW "EVERY TIME YOU GOOGLE MY NAME, THIS ONE SHOWS UP". Two years ago, Tapasya travelled to Dubai to work as an intern with Gulf News. Read about her experience here: "DUBAI DIARY: COVERING HOT EVENTS, DISCOVERING COOL STUFF".